OK, I'm not gonna lie... ever since I saw Demi Moore in Ghost with her earthy rendition of Beals' famous flashdance look, I've had a secret desire to chop off all of my hair, straddle a potter's wheel and get my hands dirty (I can do without the whole Whoopi Goldberg part). Pigeon Toe Ceramics, a fairly new brand, was founded last December by Lisa Hough. Every piece is hand-thrown porcelain on the wheel, made by hand in her Portland studio and then hand embellished. She also has an etsy shop at PigeonToeCeramics.etsy.com. She describes her work as rustic chic with Scandinavian influence - I couldn't agree with her more. She also has a collaborative artist series called PTC, Alyson Graves of Unruly Things (amazing blog by the way) is her first guest artist. She kindly agreed to give us an exclusive look at her process in the studio. All of these beautiful photographs were taken by another talented artist Alicia Carrier. Enjoy! 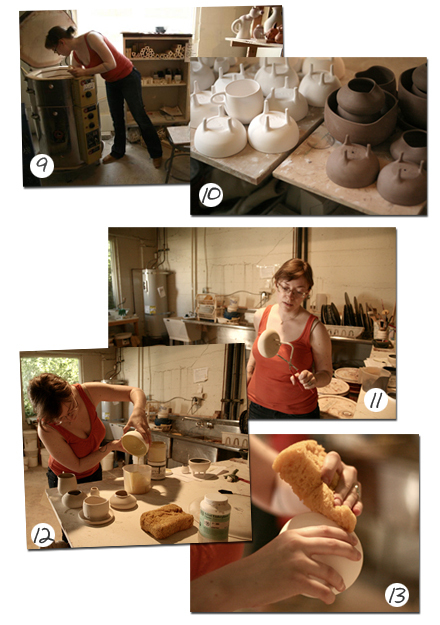 Make sure to visit www.pigeontoeceramics.com/our-process/ for a more detailed look of the process! Beautiful. 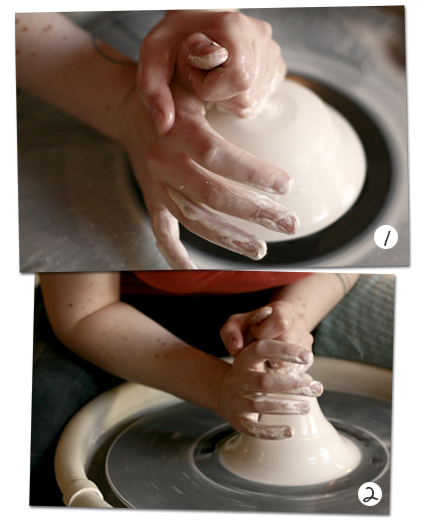 And I always love watching potters at work. 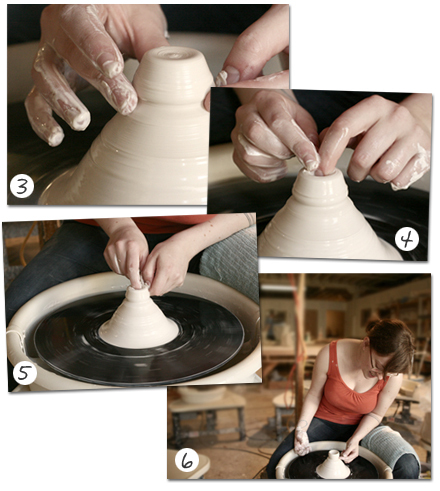 it's my dream to one day have space in my home with my own potter's wheel, I haven't thrown a pot since high school. I love everything in Pigeon Toe's shop. I definitely need a tripod pot of my own. Very Ghost! Wish I had the patience and talent to master the potting wheel! I love Pigeon Toe - beautiful work. I have my eye on the large tuck pot! Portland seems to have all the good ones! ha! i'm pretty sure that movie is what inspired me to take a little pottery course many years ago. 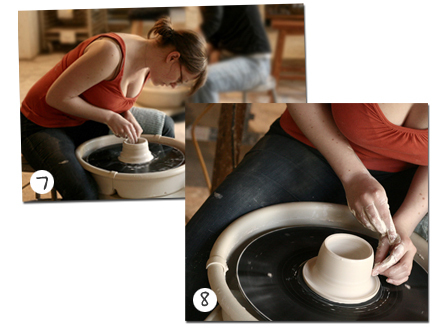 so neat to see the studio and process - love her work! I checked out the etsy shop. I love these. It would look great in my apartment. Thanks! this is such a nice post! her pieces are stunning and i love seeing the whole process photographed like that! fantastic posty--i love seeing the proicess unfild like htis---and her work is fantastic!